At the start of 2017, we looked at an emerging pair of subjects at the University of Melbourne designed to take beer away from the campus lawns and place it within the lecture theatre. At the time, “Beer: Theory and Craft” was preparing to welcome its first students and the idea of what is traditionally an academically-focused university teaching students to distinguish beer styles felt like a largely novel idea. 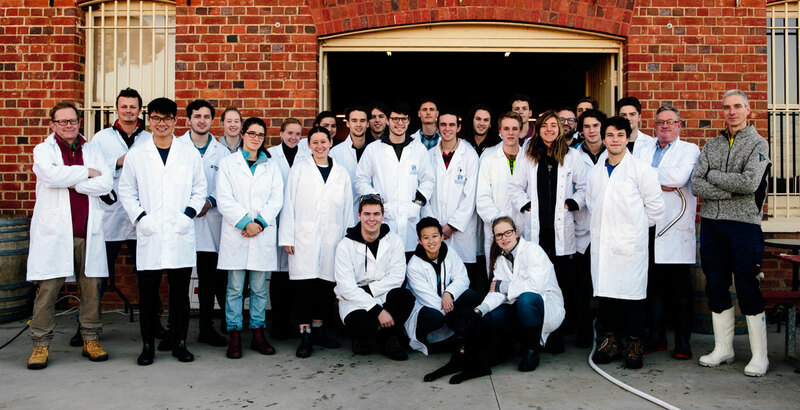 Two years on, a few hundred undergraduates have completed “An Introduction to Beer Styles and Sensory Analysis”, a smaller number have finished the more practically-minded “Principles of Brewing” and some have moved their passion away from the classroom and onto the brewery floor. The course has also welcomed some familiar faces from the craft beer world. Glenn Harrison, who recently relaunched Napoleone Brewery as Detour Beer Co, and Two Birds co-founder Jayne Lewis, have both helped judge students’ beers. Jasmin Daly from Stone & Wood has spoken on marketing and 3 Ravens’ head brewer Brendan O’Sullivan proselytised on the finer points of barrel-ageing. Charlie Pagel, the academic who’s run the course since its inception, says having students from a diverse mix of academic backgrounds meant they were keen to bring in different voices from across the beer industry. The students who participate in "Principles of Brewing" at the university's Dookie campus have impressed him with the diversity of beers they've chosen to brew, even as – mirroring current tastes among beer geeks – certain styles remain unloved. "Dookie has a large barrel room and the temperature gets down to five or six degrees,” Charlie says. “It’s an ideal environment to brew lagers but nobody wants to brew them; they want to brew stouts or something with a crazy amount of alcohol. “We’ve had everything from a chilli chocolate stout, to pale ale, wheat beers. We had a quadrupel in the first year that I was expecting to be horrible but was actually very good,” he says, before adding that lambic styles are yet to be attempted. The chilli chocolate stout was the work of Fem Russell when she took the subject last year. Despite being one of the first through the course, she admits she would have liked to have done it earlier. 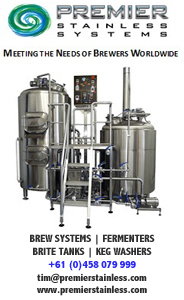 The first assignment on the course requires student to head to a brewery and report on how it operates. For Fem, her site visit to Kensington’s Bonehead Brewing wasn't just more interesting than the standard uni assignment but had other advantages too. Fem Russell on the brew deck at Bonehead Brewing in Kensington. 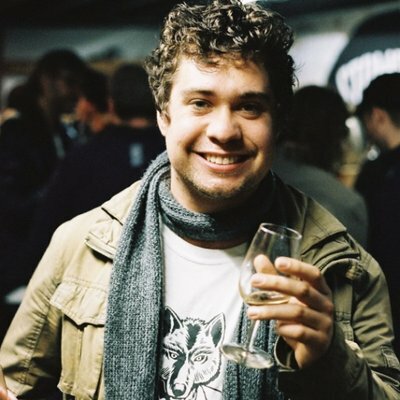 At the time, the Kensington brewery was itself just getting started and Fem's since started brewing, packaging and working the bar at the small operation. Often, she’s given free rein of the brewery’s pilot system. By taking the two subjects as part of her degree, Bachelor of Design, and working at Bonehead, Fem says she's been able to put her academic pursuits into practice. “I was learning this stuff in this course and instead of just taking it in, I can actually implement it,” she says. It’s a world removed from the one in which Fem grew up, one where beer – particularly craft beer – was never readily available. “I grew up in Dubai and there’s no real exposure to anything other than Heineken or Stella,” she says. Fem says one of the challenges in knowing what to study at university is a lack of exposure to the reality of jobs from a young age. 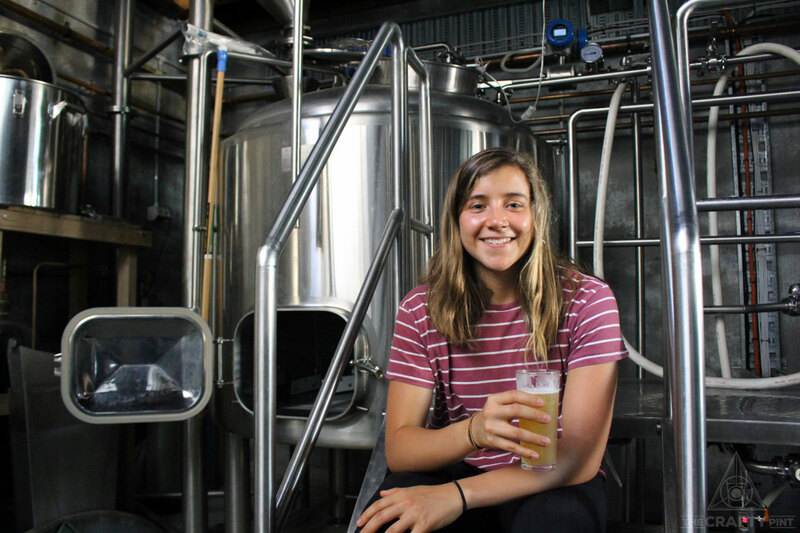 By comparison, 16-year-olds in Germany often start brewing and malting apprenticeships but, despite the ever-growing number of breweries in Australia, it still seems brewing has a long way to go before it's discussed by high school careers counsellors. “I did start to realise that I could make a career out of it if I took it seriously,” Fem says. A subject focused on beer might easily lead to people to assume most of it will take place in the pub but, according to Fem, students are pretty quickly disabused of such a notion. The idea that studying beer makes for a free ride is one Charlie is keen to dismantle too, particularly given the fact Fem’s far from the only student to land a job. “We’ve been struggling to avoid the tag of the bludge subject,” Charlie says. “But when you look at the students who have got jobs, or who have more clarity about what they want to do when they graduate, it’s definitely not a bludge subject. For more on the course, head here.